For a while now there has been a gap in the market for a midsized sedan that offers the space to be a family car and the power and style to have fun with it as well. 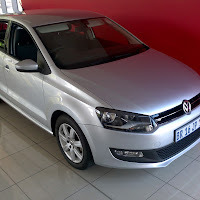 There are options out there that offered this, like the VW Polo sedan 1.6 and TDi, but it came at a very high price. If you couldn’t afford one you were forced to buy an under powered midsized sedan like the Toyota Yaris. Hyundai came up with an answer to this problem in the form of the new Accent. The opportunity to test drive this car was offered to me by my friend Israel, who just recently purchased this vehicle at a price of R150000. 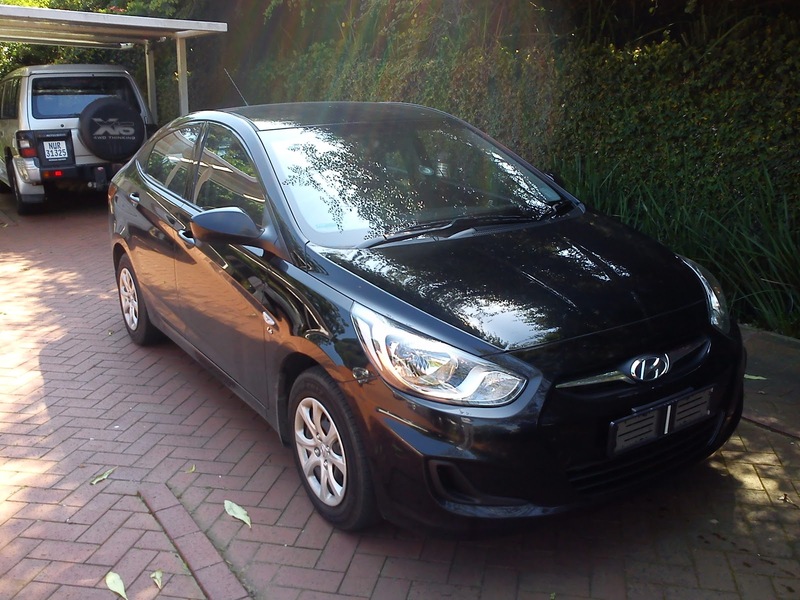 The Accent range all sport a 1.6l 91kw motor, the same found in the i20, which churns out 156nm of torque. The first thing that gets your attention is the radical styling of the car, which follows trends with the recently launched Elantra, it was hard to believe that you could get such a stylish car for that price. 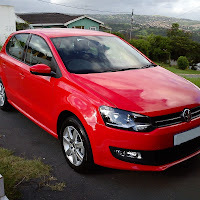 The version that I drove was the 1.6 GL, which is the entry level version and the top of the range being the 1.6 GLS. The GL lacked mags and fogs on the exterior, but even without these the car looks smart. Interior was just as stylish as the exterior, but it was noted that Hyundai didn’t over splurge in this department. 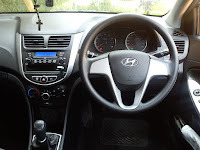 Although the car came fully loaded with comfort features, I believe that Hyundai could have added a soft touch steering wheel, gear nob and hand brake, as opposed to the plastic/resin feel. Instrument panel was exciting, displaying various stats while you drive and also giving you options for driving modes. Eco mode controls your throttle behavior, so that acceleration can be evened out which will result in better fuel economy. 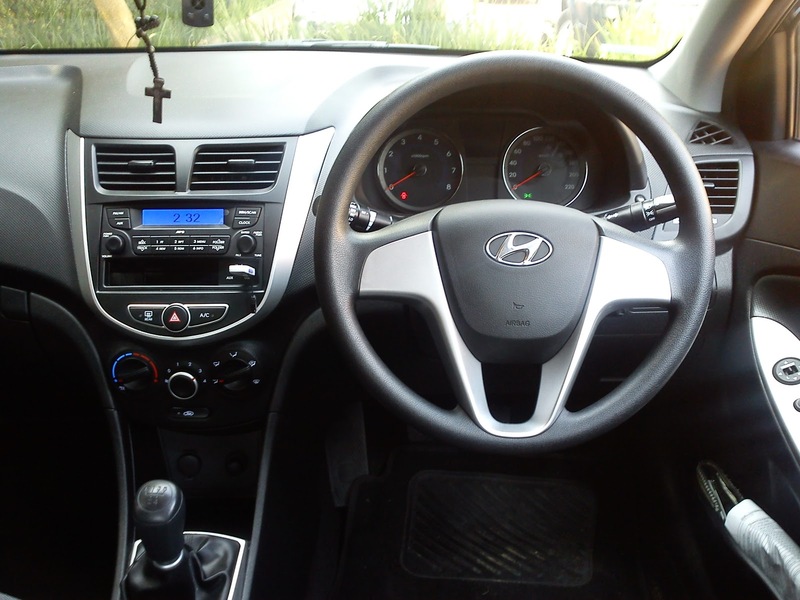 Hyundai claims the car will do 6.1l/100kms, which is excellent for a sedan. Manoeuvring was easy with the extra sensitive power steering and I particularly liked the big side rear view mirrors. Being a sedan and having flared body panels, the rear view mirrors made it easy for me to see what’s behind me and I didn’t have to guess where the back of the car ended. On the road the car surprised me with how smooth the ride was. There was ample leg room all round the car and I could just stretch out, laze back and drive the car. The 91kw engine was doing a fine job of powering the Accent, in fact I think it was doing a better job than in the i20. I think this is due to the improved engine management system. I could virtually drive everywhere in fifth gear, or at least most of the time. The new Accent will definitely be a hot seller in 2012, as it offers a combination of style, power and comfort all packaged in an affordable price. Other manufactures will have to rethink their midsized sedans after this one gets full wind. The Hyundai Accent comes standard with a massive 5 year/90 000km service plan and 5 year/150 000km warranty. The all new Hyundai Accent is a perfect blend of looks and power.It got perfect features which presents it into a cult classic.